Rice is the seed of the Oryza sativa plant. 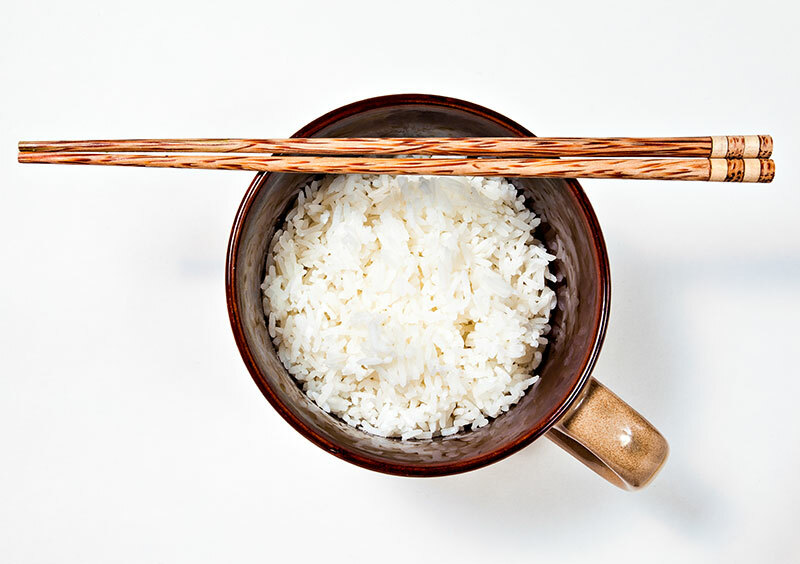 Rice is the second most produced grain after corn, however, a large percentage of corn is not produced for human consumption which probably makes rice the most important grain for human nutrition. Rice production feeds almost half the planet every day. When I was in Indonesia we had rice for every meal. There was chicken porridge (rice porridge) for breakfast and then rice for lunch and dinner. You can even drink rice (rice milk) which is actually quite good. And don’t forget about rice crispies. Snap, crackle and pop! For this shot I used two flashes, one in a shoot through umbrella and another in a Lumiquest Softbox III. I also setup bounce cards around the bowl to try and add some fill light. It’s didn’t work out quite as I would have liked. Camera settings are below.